One of the first things that I did after receiving my Nokia Lumia 920 was register the device so that I could start deploying applications to it for an upcoming Telerik project and blog post. Registering Windows Phone devices has changed since the Mango days so let’s look at what is required to register your new phone as well as sync content. 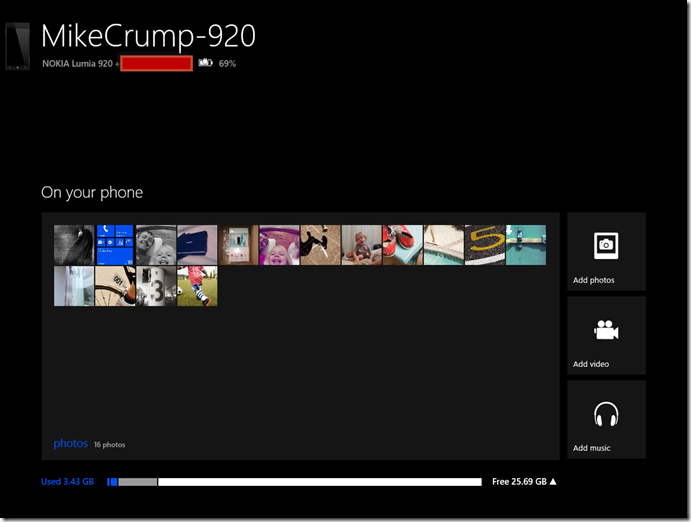 If you have a Windows Phone 8 device then no additional software (like Zune) is required. Just plug your Windows Phone into an available USB port and open the Windows Phone Developer Registration program (You can find this application after you have installed the Windows Phone 8 SDK). 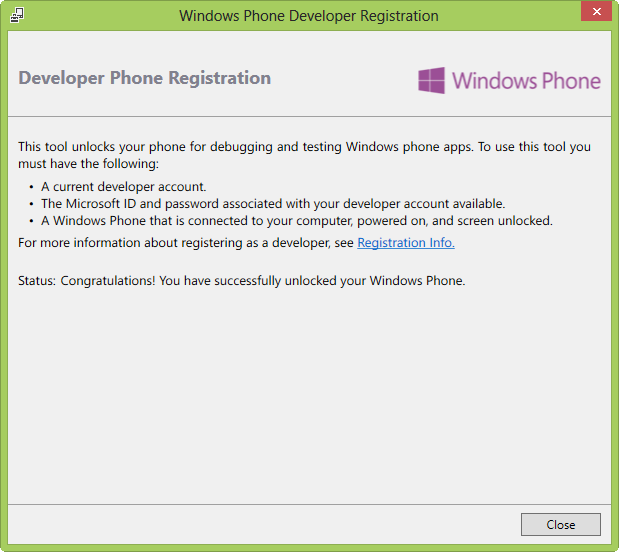 The one thing to note here is that in order to use the Windows Phone 8 SDK you must be using Windows 8. 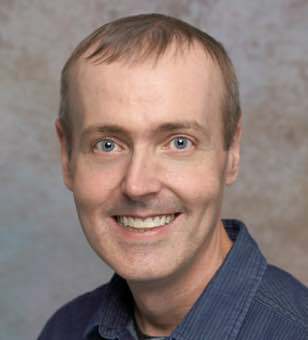 If you are looking for a list of everything new in Windows Phone 8 then I would suggest the official one and this one by Justin Angel. Below is screenshot upon first launch. Plug in your phone and hit “Unlock”. You can double check this by logging into the Windows Phone Dev Center and looking under “Account” then “Phones”. Your phone should be displayed here. 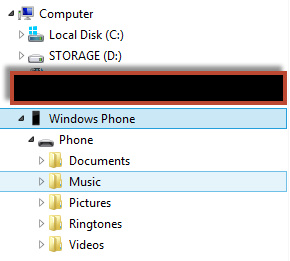 One of the nice things about Windows Phone 8 with Windows 8 OS is that your content is easily accessible via Windows Explorer. You can easily drag/drop files to this folder just like a USB drive. You can also see how much free space is available by selecting Windows Phone. If you would rather manage your photos videos etc. from a Windows 8 app then Microsoft has you covered there as well with the app that gets installed once the device is connected. Once launched you give your phone a name and it displays information such as which phone you are using your phone number battery life and lets you add/remove content or apps through it. You can even see how much free space the device has as well as other things. I’m sure by now you are asking “What if I have a Windows Phone 8 device but no Windows 8 OS?” How do I sync data? You can do that very easily by using the beta app. This app only works on Windows 7 not Windows 8. 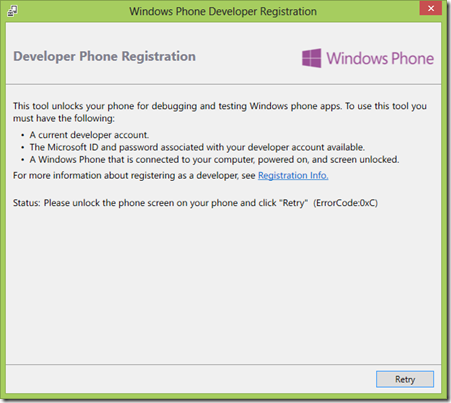 Again as far as using the Windows Phone 8 SDK you will need the Windows 8 OS. 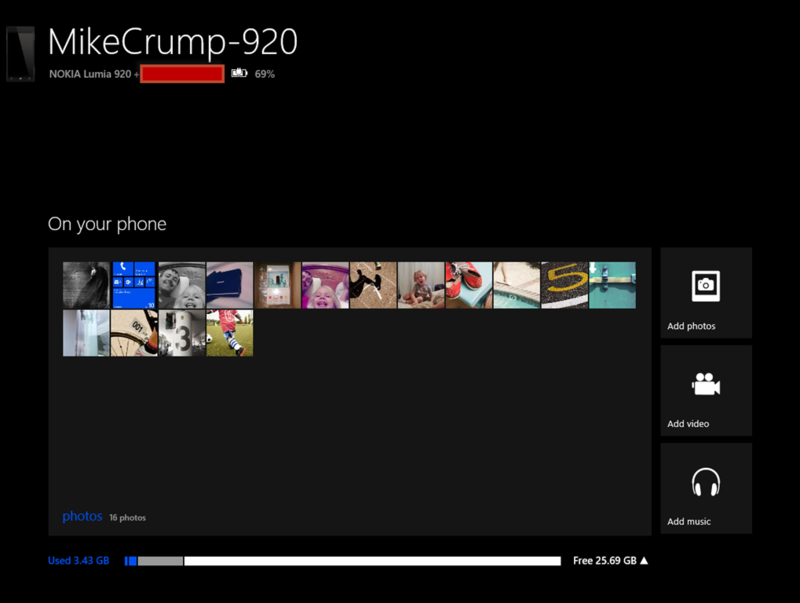 I am really enjoying my new phone as well as Windows Phone 8 SDK. If you have any questions feel free to leave them below otherwise see you in the next post!